ALL ENTRIES WILL BE ONLINE. The ELITE ride will be ‘Gun’ timed while the 70km and 40km Fun Rides will be ‘mat’ timed. Standard entry fees apply. This group will start at the back of the field, about 5 minutes after the normal 40km. Timing will be “Mat” times. This means your ride is timed from when you cross the beam at the start of the ride and again at the finish. So it is very likely that your RIDE time will be different from those finishing around you, if you did not start alongside them. 8:00am – 9:45am Registration. Although most will have pre-entered you must still register at the venue. Please bring CASH or CHEQUE if paying on the day. 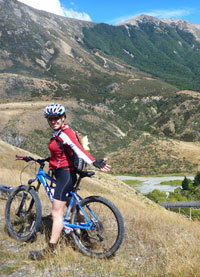 Choose to ride either the 40km or 70km options on flat to undulating country roads in the Waikato. Fun Ride Entry fee is $70, Elite class entry fee is $75. Entries received after WEDNESDAY JULY 24th will be charged at $80 Fun Rides/$85 Elite (including those on the day). Online entries will close midnight THURSDAY 25th JULY 2019. 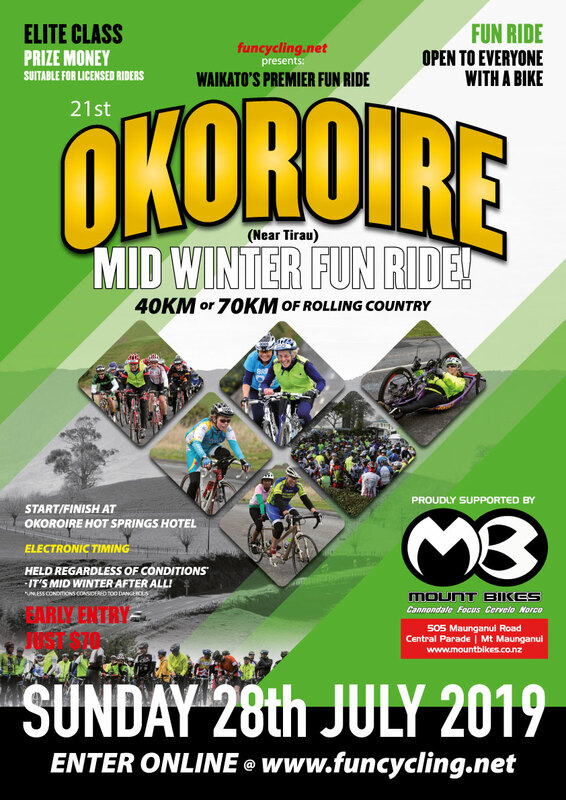 ENTRIES WILL BE ACCEPTED ON THE DAY ($80 Fun Rides/$85 Elite) Please bring CASH or CHEQUE. Riders briefing will be held at 9.45am. All must attend. The 40km ride is mostly flat with a couple of gentle climbs after leaving Tirau. A very achievable ride starting 5 minutes behind the 70km ride. The 70km ride shares the same initial 20km and then heads south along the Waikato river towards Arapuni. From here the road becomes undulating all the way back through Putaruru and Tirau. Faster riders take around 2 hours with slower ones being in by 1.30pm in time for Elite Class prize giving and Spot Prizes. CLICK HERE for more detailed ride information and a course map.